I am looking forward to joining Service Design Week and I would like to thank Michel DeJager and the team at the International Quality & Productivity Center for their kind invitation. 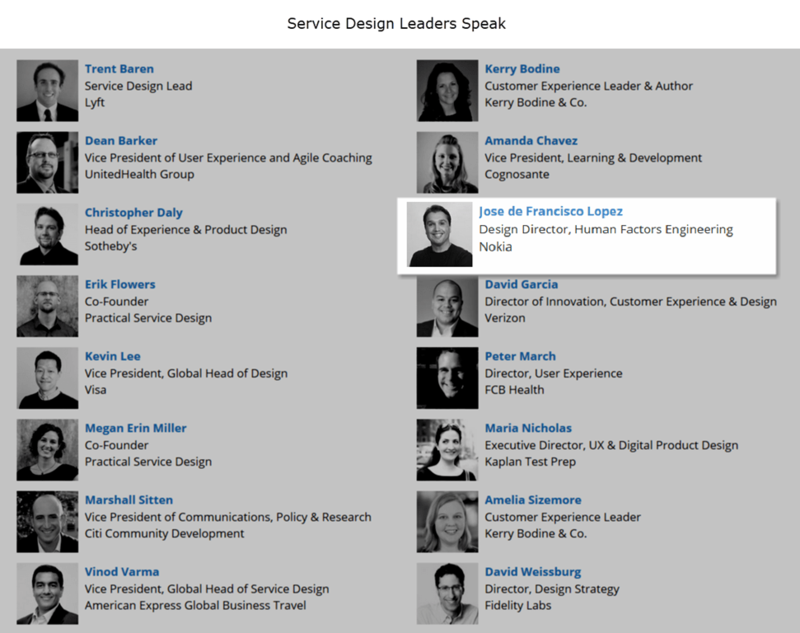 My talk will discuss C3LM, Customer Co-Creation Lifecycle Methodology, in the context of Blended Service Design, which I will take care of defining and demystifying in my talk. I am proud to share that C3LM is the recipient of a Nokia Innovation Award. My work seeks to interweave a set of known and brand new interdisciplinary practices to best address end-to-end solutions for complex and dynamic environments, also known as soft systems given their organic and morphing nature. And, most importantly, achieving that by optimizing for the delivery of quality experiences while humanizing low and high tech in the process. Widespread digitalization in our everyday activities is not just far reaching, but is also leading to a renaissance in Human Factors disciplines. The delivery of “effective quality services” with “highly efficient end-to-end solutions” is the reason for being and rationale behind creating C3LM. This new brave world entails Blended Services that intersect Data Science, Automation and Programmability, all orchestrated with Human Centered Design in mind. Pictures courtesy of Service Design Week.